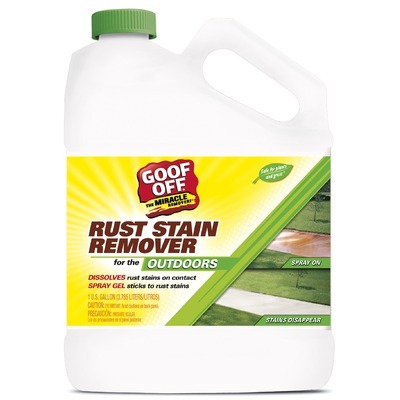 Goof Off Rust Stain Remover reacts with the iron in rust stains to neutralize and remove them from almost any surface, painted or bare, indoors or out. Use it wherever you see rust stains on tile, grout, sinks, tubs, toilets, dishwashers, counters and on all your outdoor problem areas too. It even works on tools! No rubbing or scrubbing. Rust stains simply vanish! Easier and less expensive than sealants when painting over rust-stained walls.